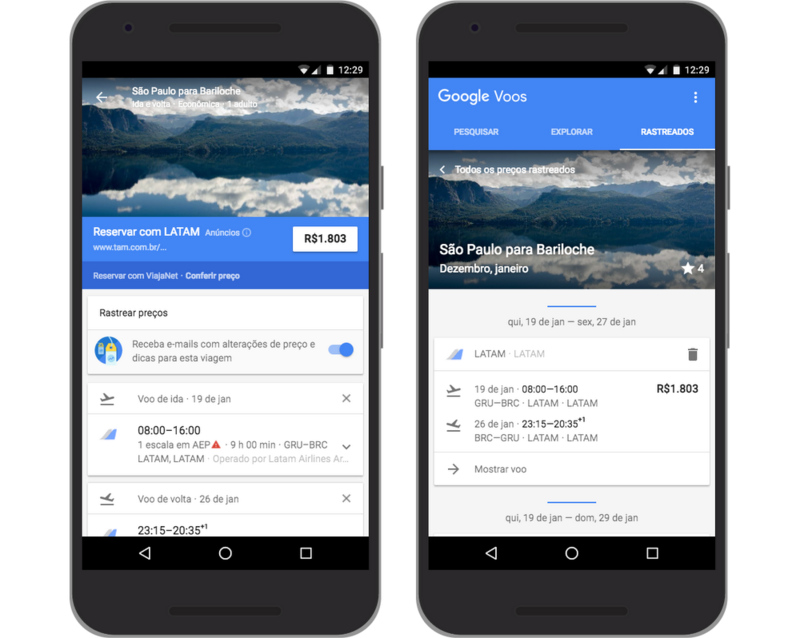 Whether you’re traveling from Sao Paulo to Rio de Janeiro to celebrate Carnival or you’re looking to book a last minute summer vacation, Google Flights can offer inspiration and help you find the best flights available. 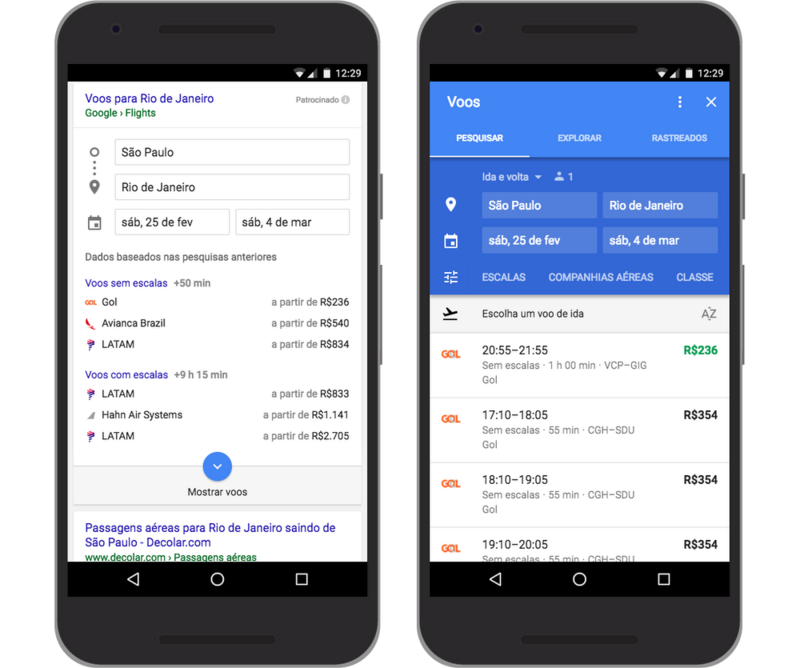 You can search on Google for flights to a destination by searching for things like “Flights to Rio” or “Flights to the US”. 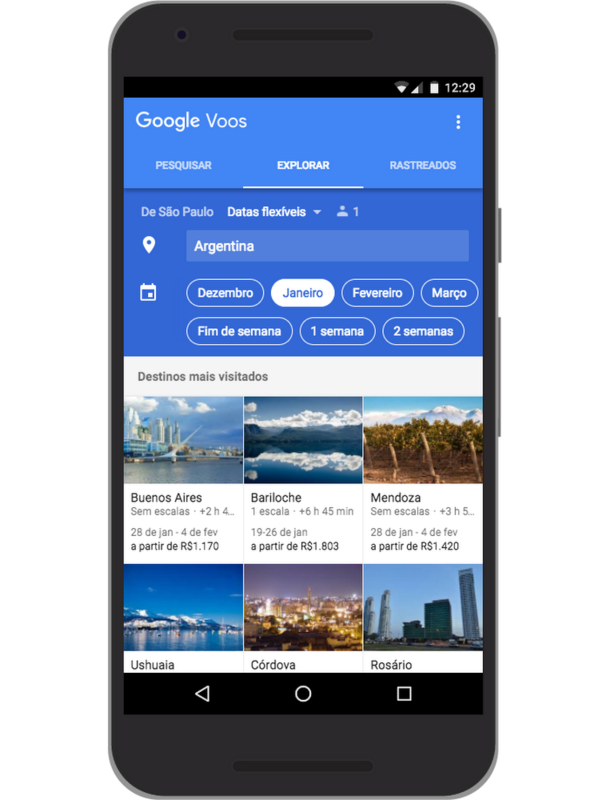 Or, you can go directly to www.google.com.br/flights to quickly and easily compare and book flights — from your mobile device, tablet or desktop. 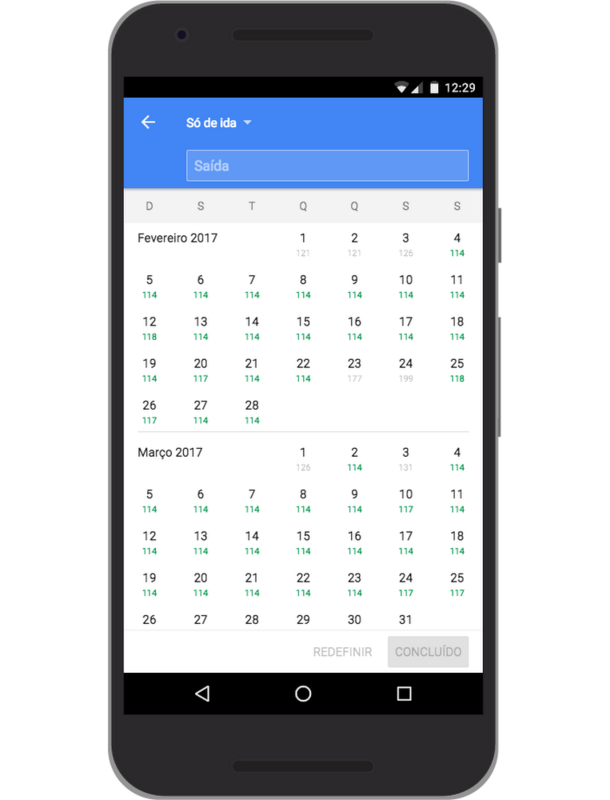 When you go to Google Flights you can now find the cheapest days to fly by tapping on the calendar icon to see prices displayed for every departure date. Additional filters are now available to show pricing based on preferences. To see pricing based on seat type you can now filter by “class”, like Premium Economy. And if you’re booking flights for additional people, you can select the number of adults and children in your group to reflect the total availability and cost in your results. If you don’t have a specific place or exact dates in mind for your next trip try using the Explore feature to find ideas on destinations to visit based on trip duration. For example, if you want to get away in January you can choose “1 week” and “January” to see popular destinations — with the best time to visit and the lowest price available to get there. Once you click on a destination that interests you you’ll see a snapshot of the least expensive flights available including price, stops, and duration. We’ll also let you know if buying two one-way tickets will save you money or give you more flexible flight times. And if you’re not quite ready to book yet, you can choose to track a flight and receive email notifications when prices are expected to change or when the price actually does increase or decrease significantly. 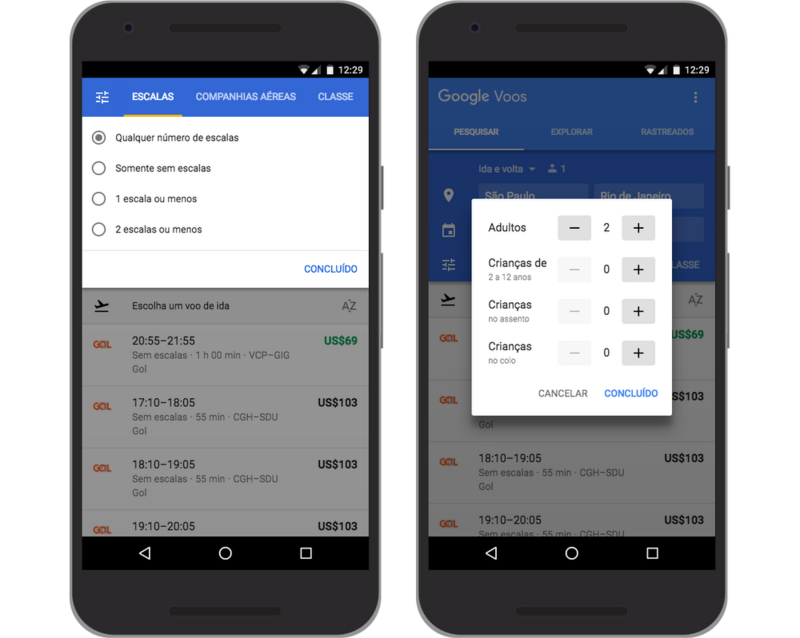 Google Flights helps you to get ideas on where to go, figure out the best time to travel, easily filter for preferences, quickly review flight options and select a flight. Make sure to take advantage of all the new bells and whistles in Google Flights when planning your next trip. Wishing you safe travels no matter where they should take you!